Birds are known to choose their mates via calls and oral communication. But scientists at Michigan State University say scent is just as important. In a study published in this month's edition of the journal Animal Behaviour, lead researcher Danielle Whittaker shows that birds communicate via scent, and odor tells them about the fertility of a potential mate. The scent comes from the birds' preen glands, which are located near their tails. Birds use their beaks to extract oil from the preen glands, and then rub it on their feathers and legs. Prior to Whittaker's study, scientists believed the birds were using the oil to strengthen their wings. 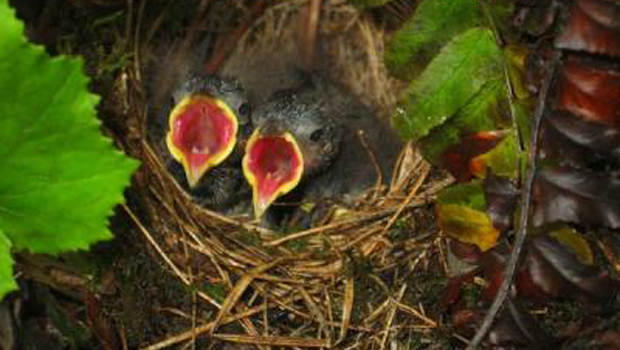 Whittaker's team studied the chemical signals and visual communication techniques of dark-eyed juncos, to see which was more effective. Their results show that odor, as produced by the preen glands, is a better predictor of reproductive success. "This study shows a strong connection between the way birds smell near the beginning of the breeding season -- when birds are choosing mates -- and their reproductive success for the entire season," Whittaker said in a press release. "Simply put, males that smell more 'male-like' and females that smell more 'female-like' have higher genetic reproductive success." One of the researchers' theories is that smell reveals clues about hormone levels and health. The female birds, they believe, take all of this into consideration when choosing their mates.